By Nick Ostdick. Oct 23, 2015. 9:00 AM. The dream version of Babe Ruth that appears to Benny in the 1993 film The Sandlot said it best: “There’s heroes and there’s legends. Heroes get remembered, but legends never die...” While such a reference might not seem entirely applicable to a discussion of American poetics, there’s a profound truth to the sentiment that rings clear throughout the annals of poetry. The truth of the matter is, it’s impossible to identify which poets will leave an indelible mark on their craft and which will merely be but a footnote in discussions of poetic tradition. That said, if we take a cue from The Babe, we can put a finger to a number of lesser-known-yet-still-influential poets who played major — albeit less heralded — roles in the evolution of the poetic arts. Here are just a few examples of notable poets who flew slightly beneath the radar during their heyday but found latter day success and prominence as true practitioners of their craft. A St. Bartholomew-trained doctor by trade, Bridges achieved literary acclaim later in life after he was forced to retire from the medical profession in 1882 due to a chronic lung condition that affected his breathing and was believed to be contagious. 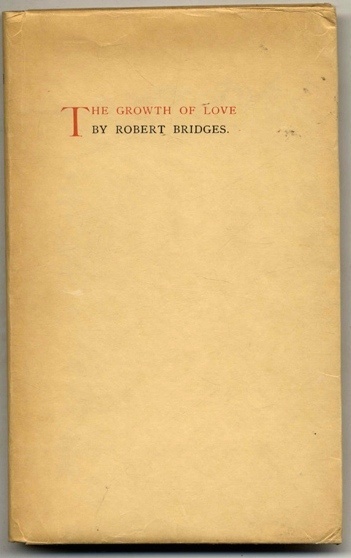 Bridges' stark, spare poems centered heavily on deeply-held Christian beliefs and often ruminated on the nature of faith and spirituality, sometimes manifesting in hymns, many of which were published and circulated throughout various congregations. A professional poet for most of his life, his most famous collection, The Testament of Beauty, was not published until 1929, a mere one year prior to his death, whereas his first poetry collection, The Growth of Love, was published already in 1876. Bridges served as Britain's Poet Laureate from 1913-1930. It’s October 1955 at the Six Point Gallery in San Francisco and poet Gary Snyder has taken the small, cramped stage for a recitation of his poem "A Berry Feast." 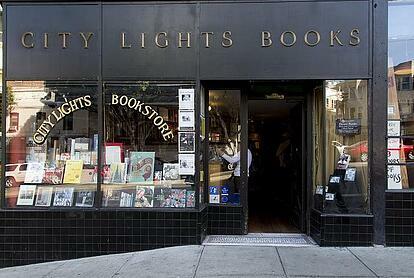 The reading is a veritable who’s-who of Beat poets, the room brimming with the likes of Allen Ginsberg, Jack Kerouac, Lawrence Ferlinghetti and a host of others. While Ginsberg and Kerouac would go on to become household names and the respected Elders of the Beat Generation — Ferlinghetti didn’t do so bad himself, either — Synder stole the show, becoming one of the lesser-known poets working within the Beat tradition. A published poet for several years before he hit the San Francisco scene, Synder’s work delved deep into the connection between man and the spiritual world. Known as one of the founders of the San Francisco Renaissance art movement of the mid to late 1950s, Synder was also the basis for Japhy Ryder, the protagonist in Kerouac’s classic The Dharma Bums. Much like Bridges, mainstream success would come late for Synder. His poetry collection, The Turtle, was awarded the Pulitzer Prize in 1975, and he has long been an advocate for environmental protection and conservation, using his poetry as a vehicle for that cause. When you think of The New York School of poetry, the one name that jumps to mind is Frank O’Hara. Epitomized by their rejection of introspection in favor of grandiose and absurdist poetic turns, New York School poets took inspiration from modern, cutting-edge movements in artistic endeavors like theater, dance, music and film. Kenneth Koch, author of the highly acclaimed The Art of Love (1975), was one of the New York School’s prolific purveyors and a close confidant and artistic foil of O’Hara. More than other New York School poets, Koch was known for his avant-garde approach to his work, which included a number of plays collected in the anthology 1000 Avant-Garde Plays. The book only contained 118 plays, many of which were no more than a few minutes in length. Koch continued to publish regularly until his death in 2002 and was recognized for his contribution to poetry with induction into the The American Academy of Arts and Letters in 1996. The author of more than 60 books — including novels and short story collections — Robert Creely is perhaps the most well-credentialed poet you’ve never heard of. An early member of the Black Mountain poets — a short-lived school of formless poetry originating in the late '40s and early '50s at Black Mountain College — Creely's breakthrough collection didn’t come until 1962’s For Love. Following For Love’s publication, Creely went on to advocate for teaching children about poetry, an agenda he pushed during his two-year tenure as the New York Poet Laureate from 1989-1991. A lifelong world traveler, Creely spent a number of his early years as a writer living on islands off the coast of Spain — some of his early long-form narrative works were composed during that time — and he briefly moved to San Francisco after the closure of Black Mountain College in 1957. There, he become friends with a number of prominent Beat poets like Kerouac, Ginsberg and the aforementioned Gary Synder.